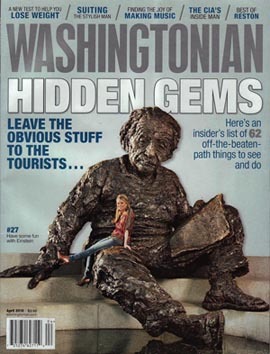 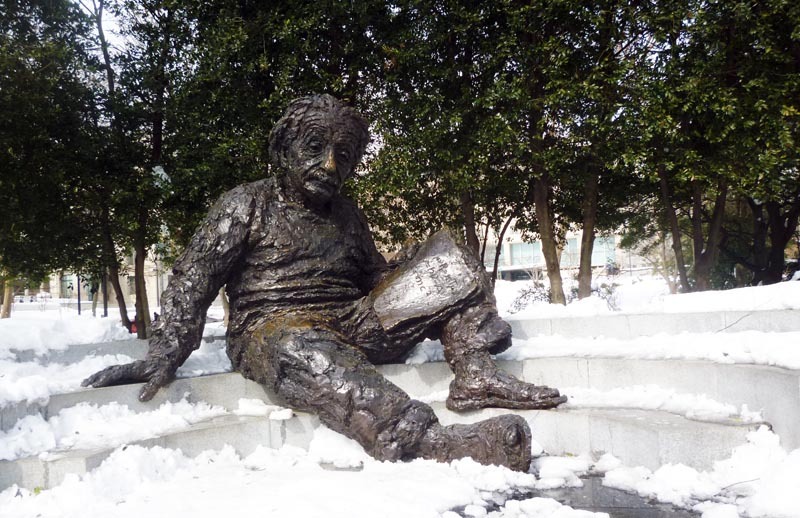 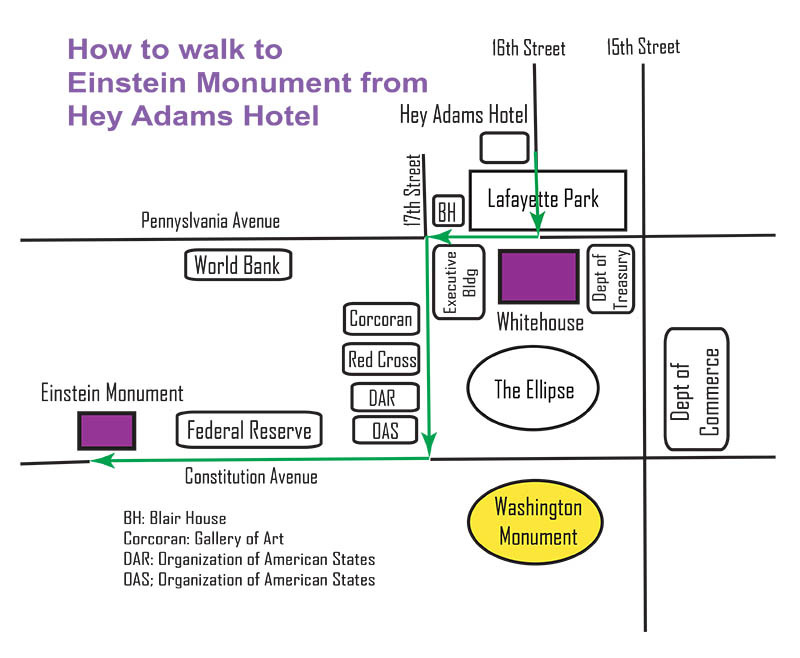 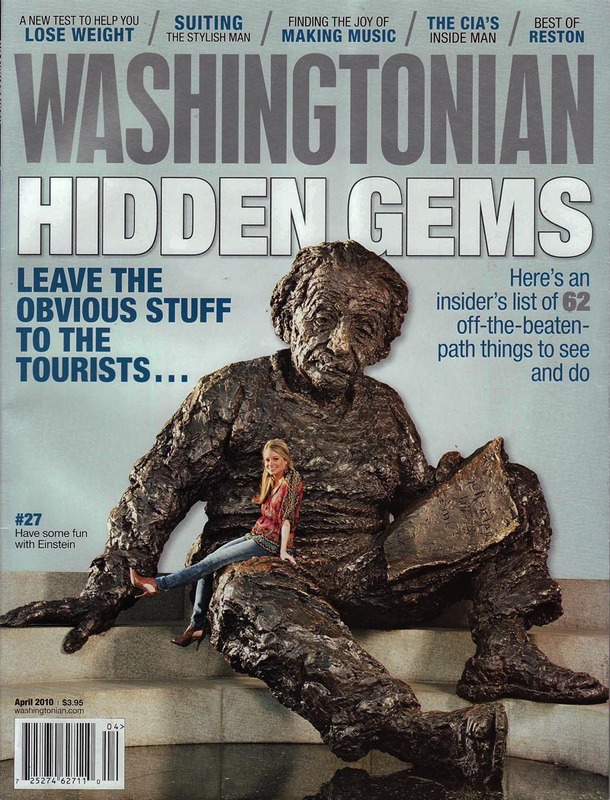 Einstein Monument in Washington, DC, U.S.A.
Hey Adams Hotel, Lafayette Park, White House, and Washington Monument. 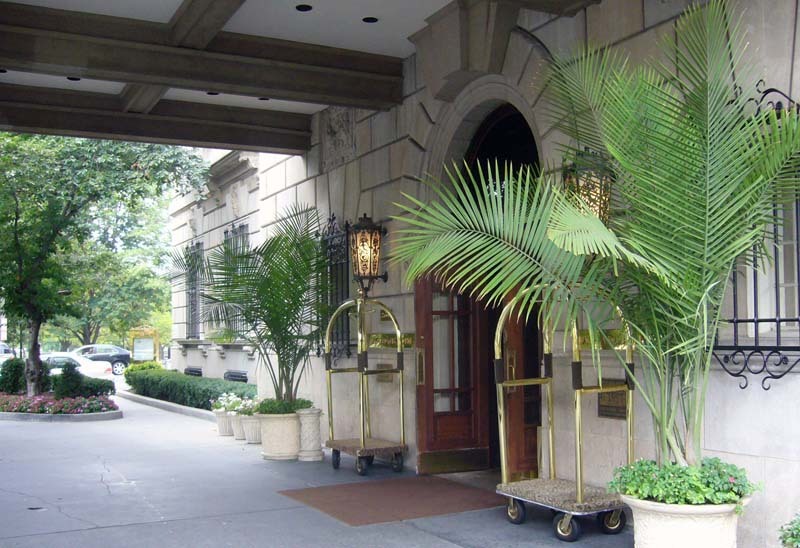 Hotel Entrance on the 16th Street. 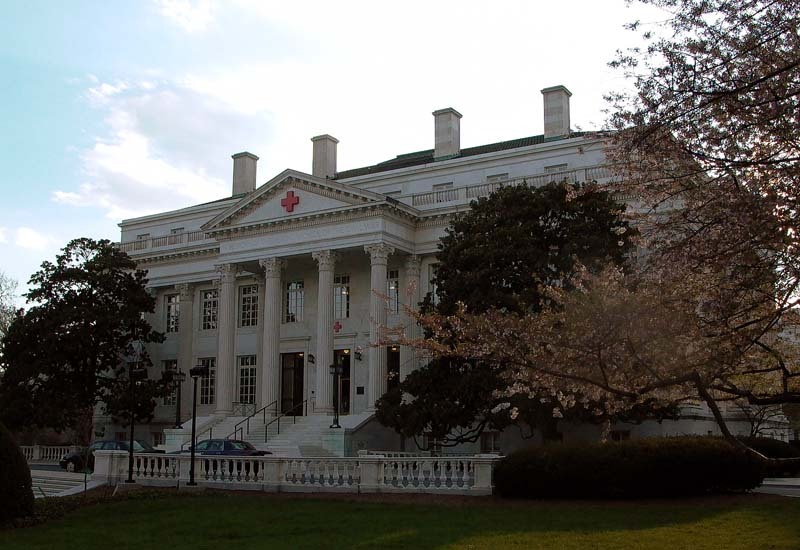 Lafayette Park in front of the White House. 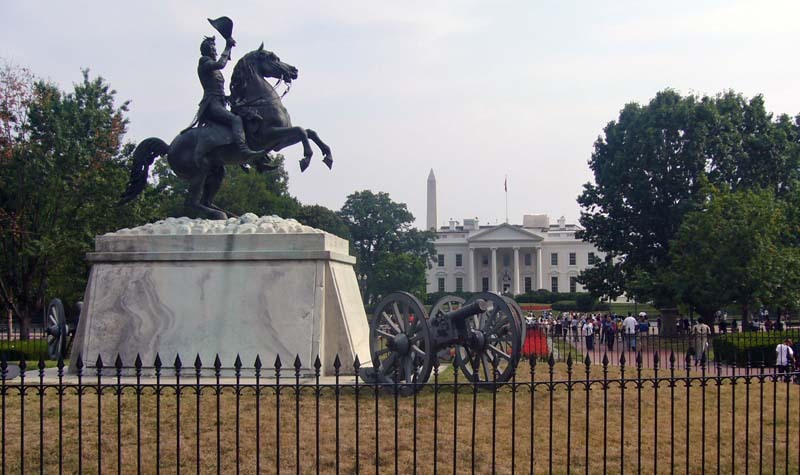 The statue of President Andrew Jackson is at the center of the park. 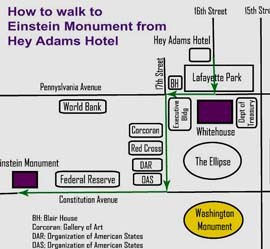 The Washington momument is also seen. 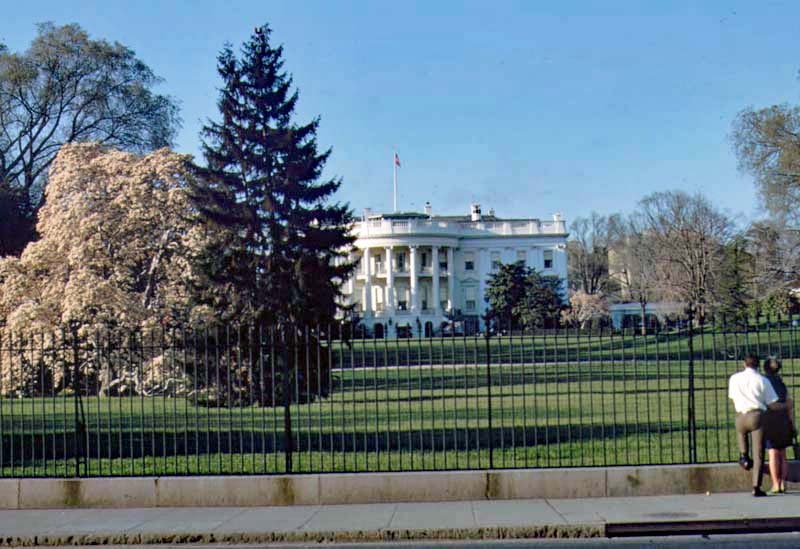 White House seen from the Lafayette Park (north). 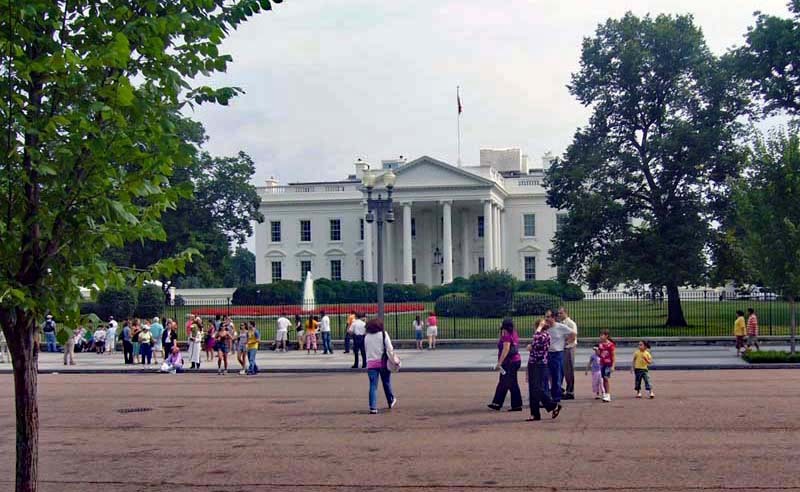 White House seen from the Ellipse (south). 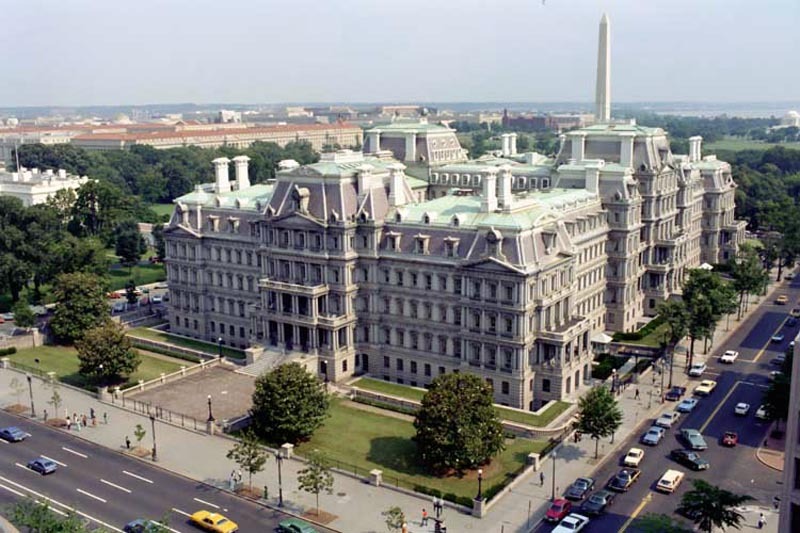 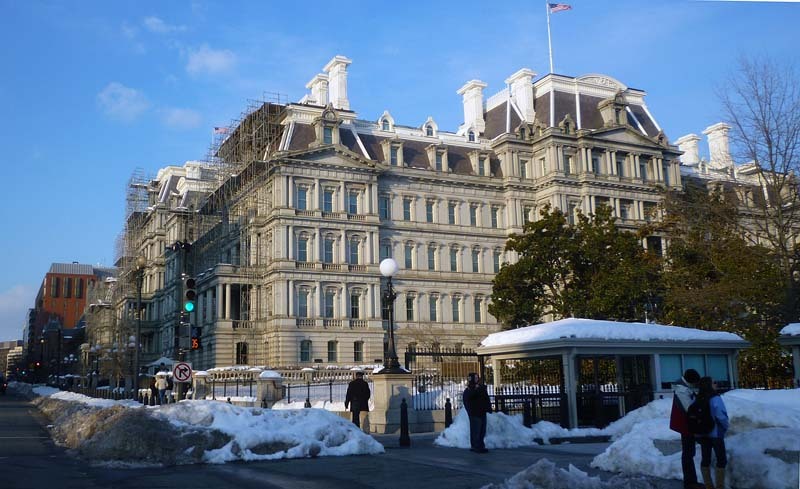 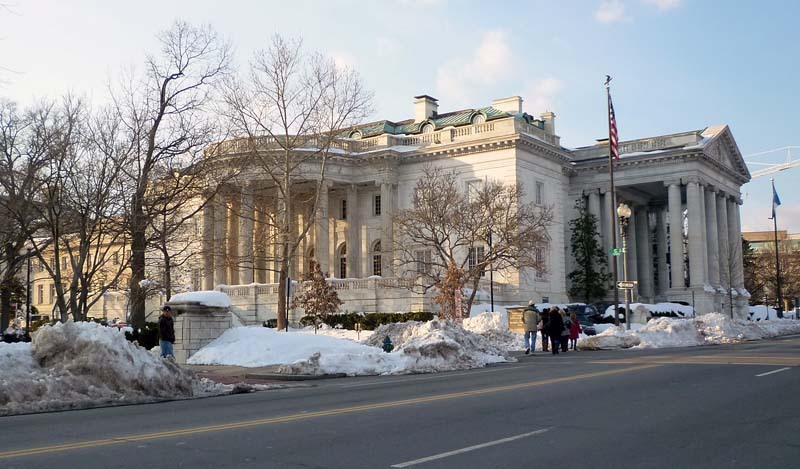 Executive Building (photo from the public domain). 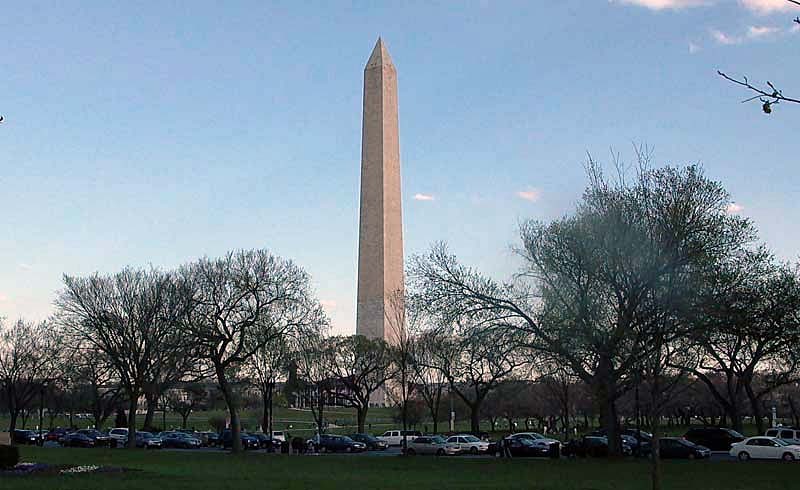 View from the ground. 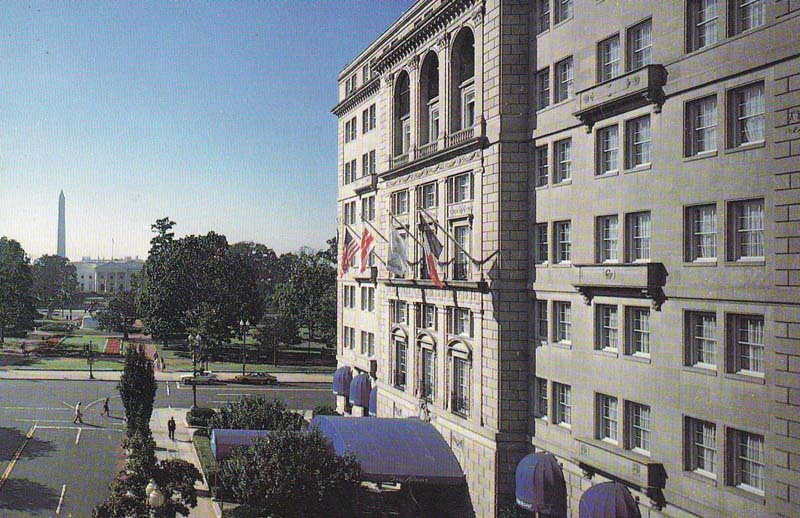 Washington Monument seen from the American Red Cross. 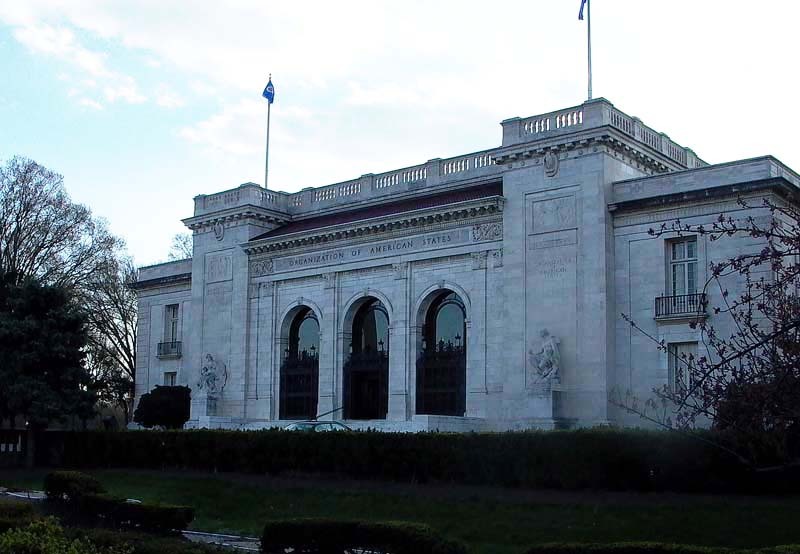 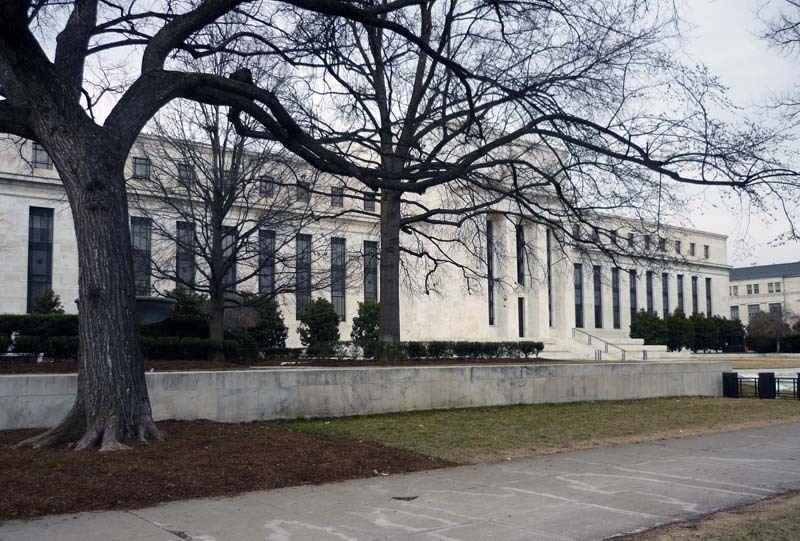 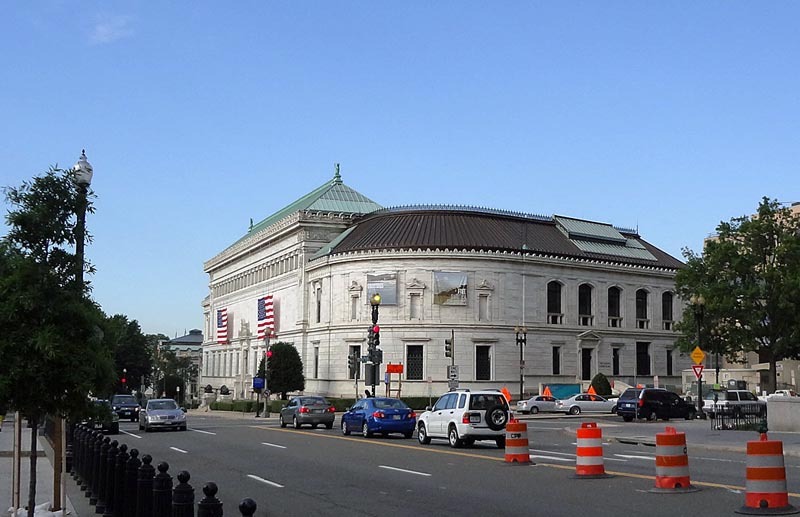 Federal Reserve Building on Constitution Avenue. 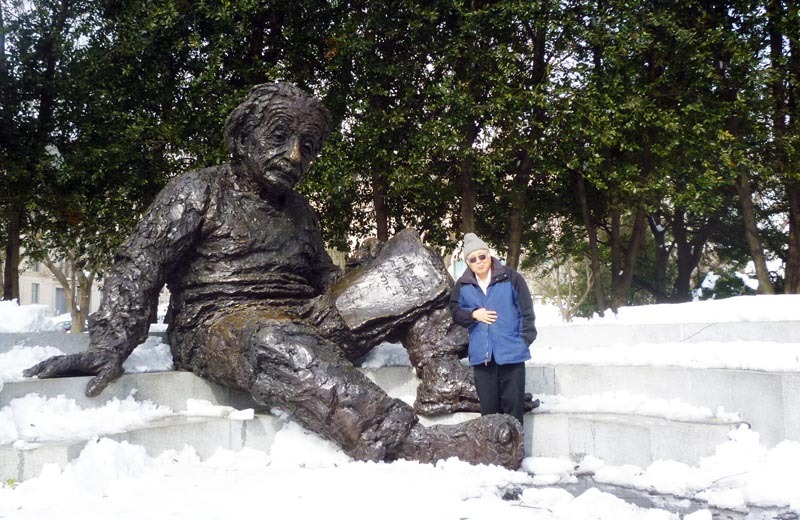 Einstein with a Pretty Lady.